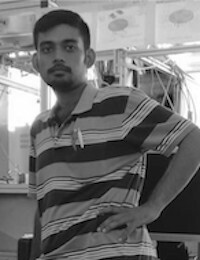 Archishman Bose is currently pursuing his PhD within the BioEnergy and Biofuels Research in ERI, MaREI, UCC. His work focuses on analysing microalgae-based biogas upgrading systems, involving both lab work and techno-economic and life cycle assessments on an industrial scale. Archishman is currently involved in the SEFE project funded by Gas Networks Ireland where he will mainly focus on the techno-economic and sustainability of microalgae-based upgrading systems for biomethane production. Archishman completed his Dual degree master’s Programme by the European Institute of Innovation and Technology (EIT) InnoEnergy in Sustainable Energy, MSc. SELECT (Environomical Pathways for Sustainable Energy Systems) from KTH Royal Institute of Technology, Stockholm, Sweden, and Politecnico di Torino, Turin, Italy. During this time, he took courses on Innovation and Entrepreneurship from ESADE Business and Law School, Barcelona as a part of his Master Programme. Archishman has a bachelor’s in mechanical engineering from Jadavpur University, Kolkata, India. His research interests include BioEnergy Systems, Energy Systems Modelling, Energy Planning, and Smart Cities. He was involved in international projects looking at small scale renewable energy development and smart city implementations in Sri Lanka and Bulgaria respectively. He also has work experience as a construction engineer and piping design engineer with Linde India Limited.